Never Let Me Go - based on the incredibly good book by Kazuo Ishiguro, and an excellent movie in itself, it connects well with "the paradox of future individuals" (Kavka). As much as it seems obviously wrong to create a class of clones to use as organ donors, how could it really be wrong, if the clones have lives worth living? Plus, the movie should set the stage for distinguishing between different moral theories on why it's wrong to use people as organ banks for the good of others. Juno - charming movie about a girl in high school who decides against abortion. It's interesting this is presented as admirable, though abortion is not presented as wrong. Meshes nicely with Judith Jarvis Thomson's discussion of good Samaritans at the end of her famous article on abortion. Gattaca - both terrific just as a movie, and ideal for generating debate, this movie presents a world where genetic screening is used to eliminate people with diseases and disabilities. People who slip through the cracks are second class citizens. Genetic screening is presented as bad, but is it really bad? Why, why not? Discuss. Mildred Pierce - college students wouldn't want to watch a "film noir" movie from the 1940s? Nonsense (I hope)! This is a terrific movie about a mother who will do anything for her daughter, and a daughter who's nothing but abusive in return. Raises the question whether children have obligations to their parents because there are special filial duties, or just because we all have obligations to other human beings. Connects well with Jane English's well-known article on the obligations of grown-up children to their parents. Also nicely raises issues about gender roles and class. Throw Momma from a Train - also about filial duty, but not enough interesting content to generate philosophical discussion, and not a good enough movie to impose on students. Some pretty funny bits, though. The Kids are All Right - Raises some interesting questions about sperm donation, lesbian and gay parents, etc., but I was hoping it would connect with questions about the rights of children to know who their parents are. It doesn't get into that enough to justify making students see it. The Island - could serve the same purpose as Never Let Me Go, but not as good a movie. 28 Days Later and The Road - useful for raising the question whether anyone could ever have an obligation to have children, but that's not the main theme of either movie, so better to recommend rather than require. Then again, 28 Days Later does raise some other interesting ethical questions. A Day in the Life of Joe Egg - about having a child with severe disabilities - probably too hard to get hold of for students, even if worth showing. 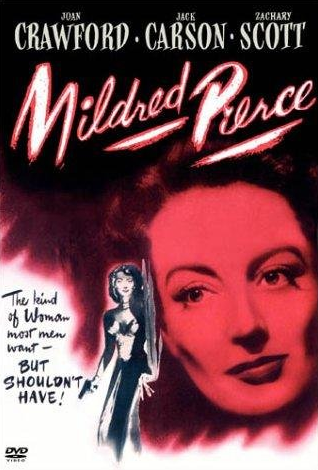 The original Mildred Pierce is better, I think, but if students really won't watch a movie from the 1940s there is also the recent HBO mini series of the same name and story. It's in color and stars Kate Winslet. I haven't seen Never Let Me Go, but I think from what I've read of it that I'd like The Island better. The difference, I think, is in how the clones react to the truth of what they're for, and also in the attitude of the general public to using clones for replacement parts. The Island may not be as well made a movie but it's take on human nature seems more positive to me. Crystal, Hmm...that's interesting. Never Let Me Go is a world in which the clone class has somehow been accepted as necessary. Even the clones are fairly resigned to their fate. You're quite right--in the Island the clones rebel, and the general population doesn't know about them. So the whole thing's a horrible aberration. Definitely--The Island does seem more positive about human nature. I'm going to need to think more about which one to choose. Movie quality might not be the most important criterion, and I do think The Island is a very entertaining movie. DR, Yeah, that's a possibility. I'm not sure how "kids today" feel about old B&W movies...I dread to find out! I'd like to see the HBO version myself. It's a good story, worth a retelling. By the old version really is great. From my experience and what I've heard, kids today have no tolerance for old movies (even color ones). But the movie version is really good, and faster-paced than the HBO one. I think it's worth a try. I didn't really like Never Let me Go... I thought it was rather dull. I'm pretty sure if I showed it to a class of mine, they would fall asleep. I've never seen the island, but I would imagine that movie would keep people awake, from what I remember from the trailers. I liked Juno a lot, I just think that the creepy Jason Bateman character at the end of the movie hitting on Ellen Page would be what most people take away from the movie, if it wasn't followed up with lots of discussion, since that's really the emotional center of the movie. I guess it depends on how you use the film in class. Uh-oh, if you found Never Let Me Go boring, I might be in trouble. Now you have to run and see the Island, and tell me what you think. Yes, getting what I want out of Juno will take a bit of doing, but I think students will at least find the movie entertaining. I hope this isn't too late, but there are two movies that I found excellent concerning abortion. Lake of Fire is a documentary that, I think, does an excellent job looking at both sides of the issue. It even has interviews from some philosophers, including Peter Singer. However, it's rather long, and I felt emotionally drained afterwords. The other movie is Vera Drake where the protagonist helps women induce miscarriages for unwanted pregnancies. I believe it was based on a true story. I actually previewed Vera Drake--very, very good movie. I should at least put it on a list of recommended movies for the class. I haven't seen Lake of Fire--thanks for the recommendation.